An update on all things Go from core team member Andrew Gerrand, including the transition to Git, why they don’t accept pull requests, what’s going on with Go 1.5, the community, and more. Write Go code on the left, see the x86 assembly on the right. Use the ‘colourise’ button to get a feel for how each line of Go relates to the output. 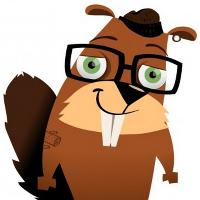 Includes some bug fixes to the go command, the compiler and link, and a few packages. Whether you are troubleshooting site issues or monitoring external services, managing and centralizing logs is important for your site’s success…and your sanity. Discover 8 usage scenarios for log management and how this fits in your WebOps toolkit. Through the recently released HttpPlatformHandler, Azure Websites (and, indeed, IIS generally) can host any HTTP-based application, including those written in Go. A look at some approaches to reducing memory allocations in performance sensitive Go code. Escape analysis detects objects that can be allocated on the stack rather than heap, but sometimes it doesn’t work well. Loving the Chinese take on the Go gopher. Coming to Denver, SF, Boston, NYC, Houston, GopherCon, and Chicago. Lets you do things like trigger OS X desktop notifications and system sounds from Go. Not a typo of ‘bloom’ filters, but does include implementations of some. websocketd provides an easy way for programs in any language to work with WebSockets. ‘Mini’ is a simple ini configuration file parser and ‘logging’ is a logger that supports tagged logging.